Managing pain, even low back pain, can be difficult. In an effort to get patients out of pain as quick as possible sometimes physicians have and still prescribe drugs and perform procedures they should not. Case in point is the prescribing of the opioid class of drugs for pain, I have written several posts about the problems with opioid use and here is another one based upon a study published this year, January 2016. 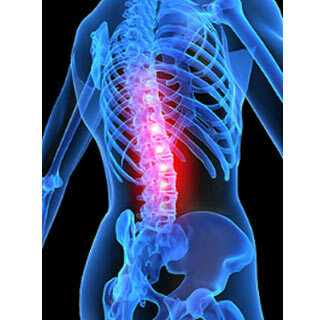 The impact of taking opioid medications early in a case of uncomplicated back pain is significant according to these two studies whose findings warrant a brief discussion. It is still common that the initial management of acute low back pain cases occurs in the emergency room where opioid prescribing varies. The authors of the first study examined what treatment was given to people who presented to the ER of a hospital between 2009 and 2011 for low back pain. They studied the impact that early opioid use had on disability duration, long-term opioid use, total medical costs, and subsequent surgeries. They found that patients who were prescribed opioids early in a case of low back pain in the ER had higher rates of long term opioid use and higher medical costs compared to others who where not prescribed opioids early. They did find that there was no increased risk for subsequent low back surgery or increased disability duration but we know that opioids are effective at reducing pain and thus eliminating the risk for requiring surgery. The second study looked at the volume of brain grey matter in patients who took either oral morphine compared to those who took a placebo for the management of low back pain. The group that took oral morphine showed significant decreases in grey matter volume in some areas of the brain and increases in only one month of use. In this study the placebo group saw no changes, increase or decrease in grey matter in the same areas of the brain. This second study shows that taking oral morphine changes the way our brain functions in just one month, the authors seem to indicate that the changes in the brain make addiction to morphine easier. Opioids are strong drugs, it might be easy to understand that taking them for the short term might be beneficial in many cases of pain including acute or chronic back pain. These two studies, though, indicate that taking opioid drugs early in the treatment of back pain or in the short term of just one month has lasting implications on our health and well being. This is why groups like the American Academy of Neurology have taken the position that opioids should not be used to manage cases of non-cancerous chronic pain, like chronic back pain. Chiropractors have largely been opposed to managing conditions, particularly pain, with medications because of the impact they can have on our health. For many years we have been called crazy for doing so but research like the papers discussed here show that we have been right all along. Yes, opioids can cut the pain but the impact on your health in the long term isn’t worth it. While sometimes they are necessary, we even refer patients out to pain specialist when we have tough cases, there are better ways to mange your pain than medications. Chiropractic and chiropractors can help if you seek us out.